The most cost effective option of the Schaefer KEG family is the ECO KEG. It consists of a top quality stainless steel body with top and bottom rings made of polypropylene (PP). These rings are connected to the KEG using a safety snap-on technique and are therefore replaceable. The colored PP rings, its light weight and the shock-absorber effect make the ECO KEG the ideal container for beer, wine and soft drinks. 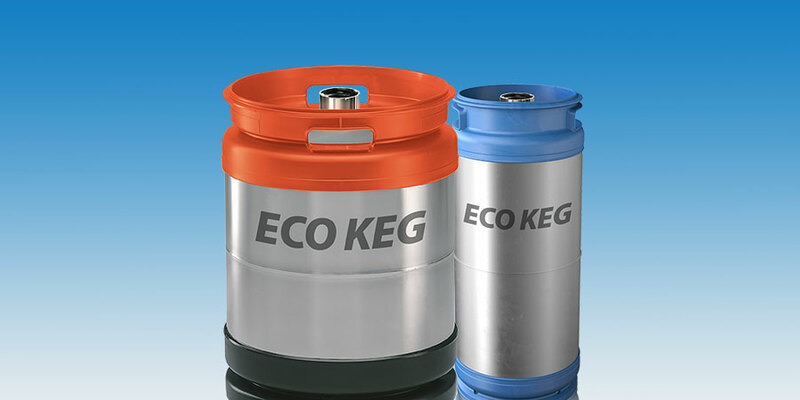 The ECO KEG is fully customizable and may be chemically etched or silkscreened to promote your brand. The polypropylene rings can even be changed to a custom color to further enhance your unique look to make your Schaefer KEGs stand out from the crowd.